Yesterday afternoon as Alex was walking Puff, he saw a little dog running away from its owners, and older couple. SO being the wonderful guy he is, he and Puff chased down this little dog and caught it, and returned it to the owners, who invited him over for dinner. Unfortunately, he already had dinner plans, with me. Also unfortunately, the dog bit him repeatedly on his hand, puncturing it only once. As soon as he got home I sent him to the doctor, who gave him a shot. Now his hand is a little swollen and red, and it hurts. Poor baby. Anyway, we all know I love Nigella Lawson. But seriously, don't you? I read her cookbooks like novels. I dog-ear every other page, then go straight to her when I don't know what I want for dinner. For dinner tonight we are having her ragu, but I make it differently. I pre-cook my lentils, because it takes too long for them to cook in the tomato-wine-meat broth. However, feel free to add the lentils with the wine and tomatoes, and to cook a little longer, until the lentils are done. The finished product, however you do it, is smoky, meaty, and satisfying. Combine lentils and water in a pan and bring to a boil. 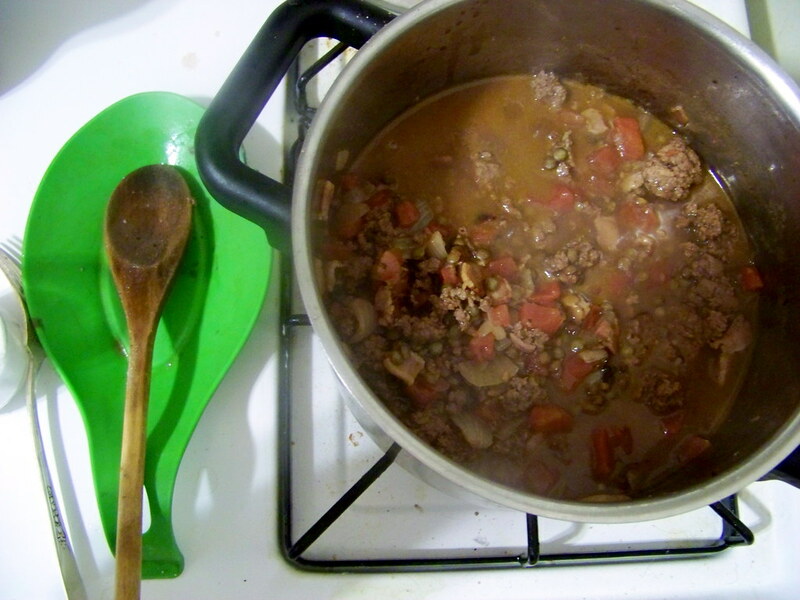 Cover, turn down heat, and cook until meat is browned (in a few steps). Heat up the oil, then cook the bacon until crispy. Add the onion, cook a few minutes until soft, then add the garlic. 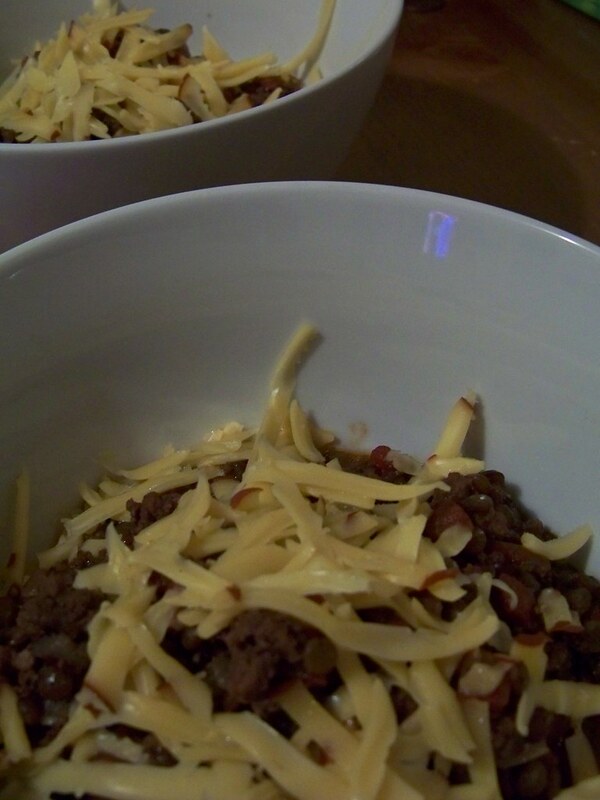 Cook another minute, then add the ground meat. Cook, stirring to break up clumps, until meat has lost all pink. Add the slightly cooked lentils, wine, and tomatoes with a good sprinkling of pepper. Cook for about a half an hour, until lentils are soft. 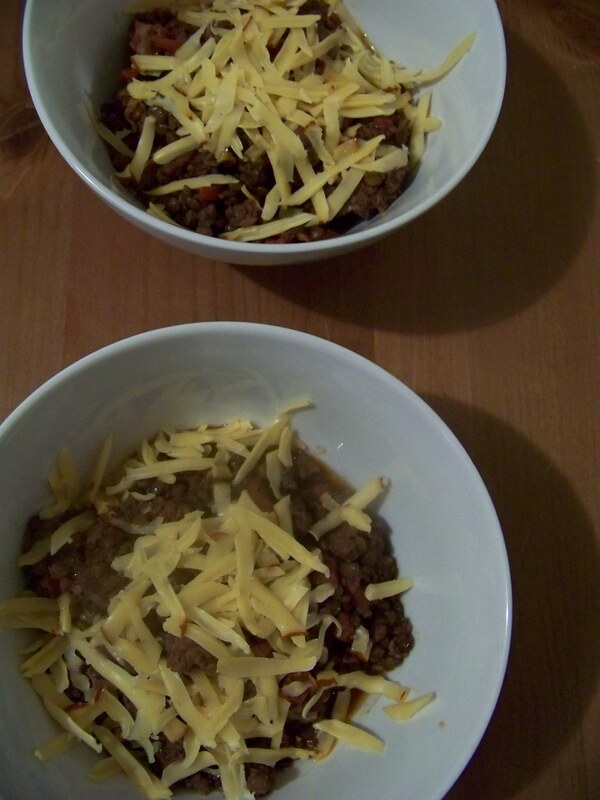 Check for salt, add some if you need, then serve with grated cheese over the top.